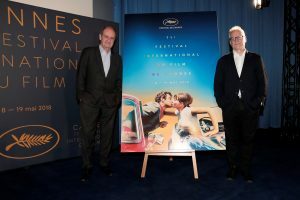 We are hard at work here at this year’s Cannes Film Festival! Have a look at the 2018 poster unveiled prior to the festival’s opening day – designed by 27 year old Flore Maquin. 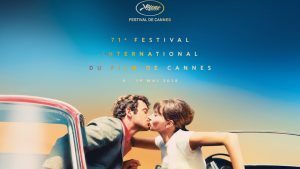 This year’s graphic poster is inspired by the work of French stills photographer Georges Pierre and features “Pierrot le Fou” stars Jean-Paul Belmondo and Anna Karina sharing a kiss on the French Riviera – the same location as the Cannes Film Festival. We always enjoy working at the festival and this year is no different!